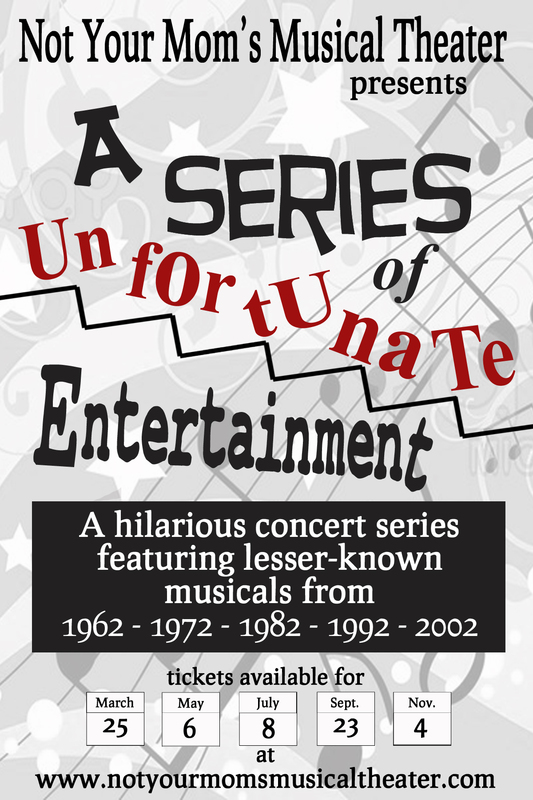 A 5-part concert series mixing the often hilarious history of lesser-known musical theater from a given year with musical performances from those shows. Concerts will be emceed by local actors who will illustrate the interesting and sometimes ridiculous history of the songs. The series will chronicle lesser-known songs and musicals in a funny and enjoyable way. The first will spotlight 1962, and the other concerts will feature 1972, 1982, 1992, and 2002, respectively. All concerts will be at 7 p.m. at St. Peter’s Church, Londonderry, NH next to Mack’s Apples. (3 Peabody Row.) Suggested donation for tickets is $10 adults, $5 students. No reservations will be taken for seats (general admission at the door), but a subscription to the season is available here, and it includes reserved seating and homemade treats at each performance! Robin Boyd, Jocelyn Duford, Lynn Eaton, Jamie Feinberg, Lauren Friedman, Glen Grimard, Casey Hatch, Dan Holmes, Joel Iwaskiewitz, Kevin Kimball, Marc Murai, Sarah Murai, Elliot Owens, Sheree Owens, Katelyn Parker, Aimee Robidoux, Becky Rush, , Samantha St. Onge, Dave Ostrowski, Deb Shaw, Charisse Shields, Joey T., Anja Parish Ward. Ticket sale proceeds will be split equally between the cast and staff of NYMMT and St. Peter’s Church. There will also be a special fundraiser where the audience gets to choose an actor to perform a song of their choice, so bring extra cash! Not Your Mom’s Musical Theater is known for producing lesser-known, innovative and edgy musical theater in southern NH. Recent productions have included Bloody Bloody Andrew Jackson, [title of show] and Musical of Musicals: The Musical!. NYMMT shares its profits with its performers, and prides itself on presenting quality, affordable entertainment unavailable elsewhere in NH. With this concert series, NYMMT hopes to entertain and inspire its audiences in new ways. This concert series at the beautiful, contemporary St. Peter’s Church at 3 Peabody Row in Londonderry, NH will be appropriate for all ages. Expect the unexpected! For more information, please email us: Notyourmoms@gmail.com.